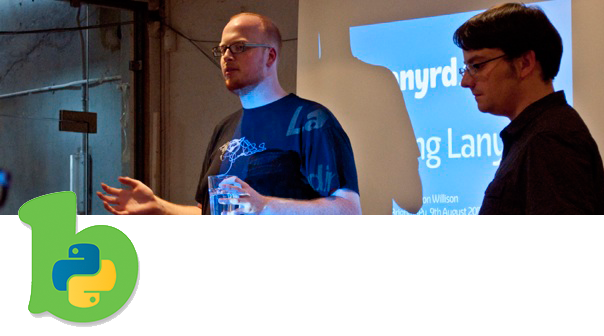 Since May 2010 our Technical Director, Jamie Matthews, has been the main organiser of the Brighton and Hove Python User Group, a collection of local people interested in the Python programming language and related technologies. At the beginning of 2011 BrightonPy moved to a monthly schedule, and since then has gone from strength to strength, with good levels of attendance at every meeting. Talks have ranged from introductory Django presentations to complex scientific computing tutorials. If you're interested in getting involved with BrightonPy, please visit the website, follow us on Twitter or join the BrightonPy Google Group. Sign up for our next training day.